Brockie, Qalinge And Three Others On PSL Club's Transfer Wish List? The likes of Jeremy Brockie and Thabo Qalinge who have fallen down the pecking order at their respective clubs are now believed to be on the wish list of potential suitors in the Premier Soccer League. 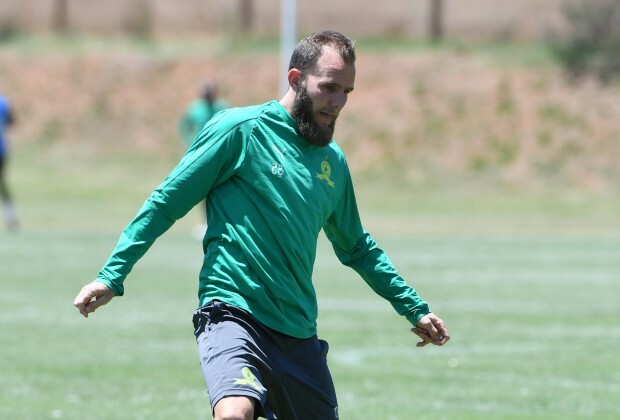 Brockie has been linked with an exit from Sundowns for several months now, as his struggle for game-time continues after seven league games without a single appearance. However, according to Siya sources, the New Zealand international could be on his way out of the club in the upcoming July/August transfer window, with Bidvest Wits believed to be showing interest in the striker. Although, Brockie is not the only player currently on the wish list of other clubs in the Premier Soccer League. As reported in this week’s edition of Soccer Laduma, Qalinge could be reassessing his future with Orlando Pirates at the end of the season, having made just nine appearances in all competitions for the Bucs so far. It is understood that Cape Town City, SuperSport United and Wits have all made enquiries into the player’s availability. Siya sources have indicated that Sundowns could be looking to rekindle their interest in Martin from City when the transfer window opens in a few months. According to sources in the know, Wome could be returning to the PSL next season, with Baroka FC previously showing interest in the player. Mobara’s contract with Pirates will come to an end on June 30, this year and the player having been previously linked with moves to Sundowns as well as Wits, while SuperSport could be favourites to land the player’s signature. I wish for Brockie at KC. he is a target striker we desperately need. I understand the fans' frustrations on qalinge. He is an exciting player but under which coach has he been a regular? Surely there must be something not right about him in the Pirates' set up. He should look elsewhere for game time..